A hammer-wielding robber threatened a store manager as he attempted to steal money from a Coop store. 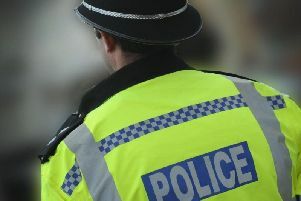 Police said a man - dressed in a motorcycle helmet and a grey tracksuit - walked into the Coop store in Ifield Parade, Crawley, at 6.20am on Tuesday (April 17) armed with a hammer. He demanded money from the store manager and threatened him with the weapon. Officers said he was told there was no money and he made off on a black motorcycle with a bag of cigarettes which had just been delivered. Detectives are connecting the incident to another robbery in which an axe-wielding thief threatened staff at the Premier store in Oakwood Court, Broadfield. Police said a man - wearing dark clothing and a black motorcycle helmet - entered the store at 8.05am on April 5 armed with an axe. He also demanded money but ended up leaving the store on a black motorcycle with a bottle of Barcadi. A 31-year-old man, from Crawley, was arrested but has been released without charge. Anyone with any information is asked to contact police online or call 101 quoting serial 146 of 17/4.